We couldn’t have said it better, but we’re not going to lie – owning a puppy is a big responsibility and can be tough work. Sleepless nights, puddles of pee on your carpet, bite marks on all exposed body parts and countless pairs of chewed-up shoes spring to mind (why brand new Jimmy Choos taste better than well-worn Havianas is anybody’s guess). But gaze into those adorable eyes, or feel the sincerity of a sloppy first kiss, and you know you’ve made the right decision. Once you’ve found your perfect match, you’ll want to hold onto him/her for as long as possible – and that’s where we come in. 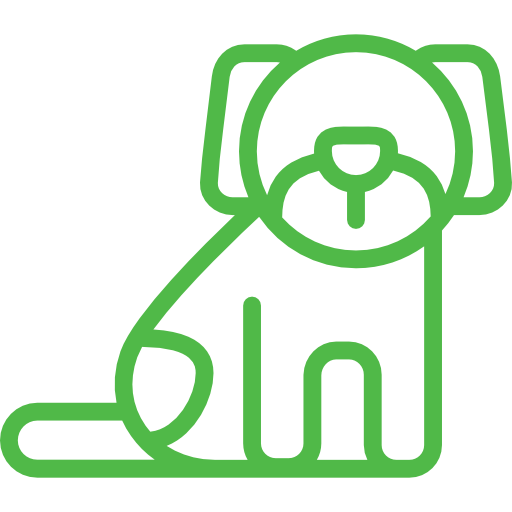 Simply put, we are dedicated to helping your pet achieve a long, happy and healthy life. Our wellness and preventative care program, LifeCare, is specifically designed to ensure your pet receives the right type of care, with the right products, at the right time. Bring in your little bundle of joy for a comprehensive health check, discussion about puppy d’os/don’ts, and a complimentary deluxe puppy pack. Puppy preschool is a critical aspect of raising an obedient and well-adjusted dog. It’s also LOTS of fun for you and your dog! 5 classes for puppies 8-14 weeks of age. Small class sizes for optimal participation. Visit our dedicated hydrobath and grooming room to spruce up your pampered pooch. You are what you eat (and, surprise, so is your pet). Puppies require a specific nutritional formulation for this important developmental stage. A complete and balanced diet with premium-quality ingredients, such as that found in the Hills Science VetEssentials range, contains all the necessary nutrients to meet the needs of growing bodies. No mess, no fuss, no unpleasant back-end revelations. 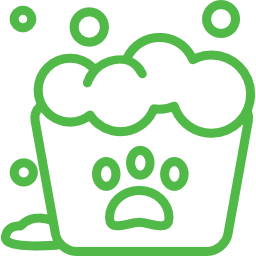 Did you also know that using a food bowl is no longer recommended by veterinary behavioural specialists? Talk to us to find out why you should use a slow-release food device, like a Kong or Aussie Dog Treat Ball. And remember: no bones (raw or cooked) for your pet. Some canine diseases, such as parvovirus, hepatitis and distemper, are contagious and can be fatal even with treatment. They’re far less common these days due to widespread vaccination, but outbreaks still occur. Other conditions like canine cough are extremely contagious. We have specifically selected a vaccination schedule that protects your pet and allows them to have an A-grade social life from just 11 weeks of age. 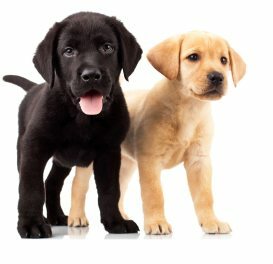 Puppies that have already been started on a different vaccination schedule by the breeder/pet store/shelter are also eligible. We recommend Drontal® chews to prevent intestinal worms and Frontline Plus® spot-on to prevent fleas. Heartworm is spread by mosquitoes and infection can be fatal – an annual injection is effective at preventing this serious disease. Entire (non-desexed) animals are more prone to serious illnesses (such as cancers and uterine infections), roaming, fighting and, of course, producing unwanted puppies. That’s why we recommend that your pet is desexed at about 4 months of age. Maintaining a healthy lifestyle for your pet, complete with routine vaccinations, health checks and parasite prevention, is the first and most important step you can take to minimising problems. However, pet insurance will help cover your pet for those unexpected illnesses and accidents. 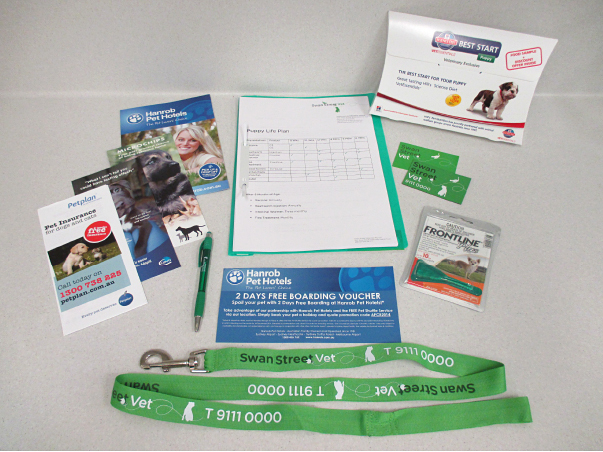 Toilet training, bedding, microchips/identification, behaviour, dental care, shiny tresses, healthy ears – we could go on and on about this stuff. Just try us. 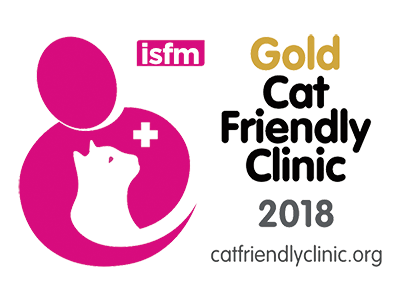 We are proud to be an ASAV Accredited Veterinary Hospital and ISFM Gold Cat Friendly Clinic. Please click the corresponding logos to find out more.